Seems like more and more brands are releasing their official apps for the Windows Phone platform. 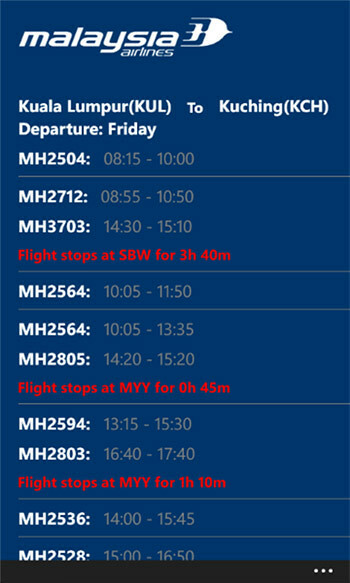 One of the latest one from Malaysia is none of the official Malaysia Airlines (MAS) app. MHmobile is the Windows Phone application for Malaysia Airlines’ passengers. 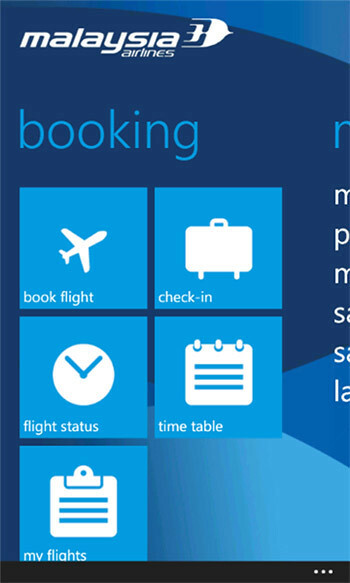 MHmobile will securely store your profile data on your Windows Phone to make booking and check-in fast and efficient. You can also store your travel plans and boarding passes on the Windows Phone so you can access them even when you are offline. As expected from an airlines app, users can book and check flights right from the app itself. Apart from that, users can also check on the enrich points, previous flight bookings and more. As Malaysia Airlines is quite active on social media, they have also incorporated social media platforms in the app itself. Just launch it and you can view their Youtube videos, Twitter feeds and other activities as well.